Filatura Di Crosa Gioiello 4 ply knitting yarn 10, Starry Night is a luxurious mohair blend highlighted with a shimmering silver metallic thread. 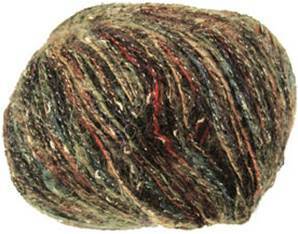 30% kid mohair, 30% extra fine wool, 10% cotton, 10% polyester, 20% nylon, handwashable. 200m per 50g ball.